Looking for a quick and easy read on biomimicry and the potential of bioinspired innovation more broadly? 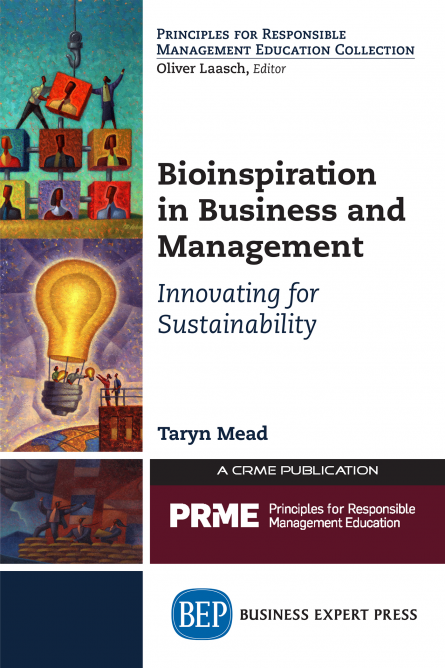 A recent addition to the Sustainable Design faculty, Taryn Mead, PhD, is excited to introduce her new book “Bioinspiration In Business And Management: Innovating For Sustainability” now available through Business Expert Press. This introduction to bioinspired design is intended for the busy professional who has only a few hours to dedicate to learning the basics of the field. While it provides numerous references for technical, design, and innovation resources, it is written in a conversational and accessible language for a variety of disciplines. After an introductory chapter dedicated to the basic philosophy of learning from nature and some of the challenges with sustainability-oriented innovation, it covers a variety of ways that bioinspiration can be incorporated into management, operations, product development, and innovation in socio-ecological systems. The final chapters introduce a variety of tools and approaches and strategies for implementation in different organization types. If you are interested in taking a course with Taryn, she will be teaching the Biomimicry for Designers this Spring 2018. This 5-week online Continuing Education course will run from April 2-May 8. Learn more and register for the course here. 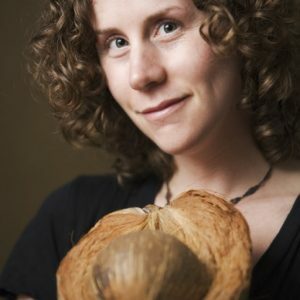 Taryn Mead is an innovation and management scholar whose research focuses on the interface between corporate sustainability strategies and conceptualizations of nature. This includes subjects such as sustainability-oriented innovation, biomimicry, circular economy, the integration of planetary boundaries into corporate strategy, and the role of corporations in sustainable development. She also has substantial experience in sustainable design and expertise in creativity for sustainability among design and engineering professionals in interdisciplinary settings. Before pursuing her PhD in innovation management, Taryn worked as biologist, sustainability strategist and Certified Biomimicry Professional consulting with over 30 corporate, municipal, and non-profit clients using biomimicry as a tool for innovation and sustainability. As a practitioner of biologically-inspired innovation, she has worked on domestic and international projects ranging from new product design to industrial ecosystems to new cities for 2 million inhabitants. She has also served as the lead facilitator for numerous workshops with corporate clients and blossoming biomimics and lectured for large audiences.